ST. LOUIS—Two strong operatic characters from works composed almost a century apart show the mettle of women who’ve been challenged by society’s conventions. Regina Giddens of Marc Blitzstein’s 1949 opera Regina and Violetta Valéry, Giuseppe Verdi’s 1853 La Traviata (The Fallen Woman), are currently on the boards at Opera Theatre of St. Louis for a few more performances. Some of my readers are aware that I am Blitzstein’s first biographer. I don’t rush all over the country seeing every production of his works, but I felt compelled to go to St. Louis. Known for their summer artist development program and their introduction of talented young singers to ever larger roles with the company, OTSL pulled out all the stops with their first essay at Regina, a Broadway opera based on Lillian Hellman’s play The Little Foxes. They imported four truly world-class singers for their role debuts in the opera, starting with the renowned Metropolitan Opera mezzo-soprano Susan Graham, who has embraced just about all the classic mezzo roles since she first appeared 30 years ago at OTSL in Samuel Barber’s opera Vanessa. She came back the following season to sing her first Charlotte in Massenet’s Werther. This portrayal of Regina is her first return engagement with OTSL since then. Curiously, Graham had just sung her first Dinah in Leonard Bernstein’s Trouble in Tahiti with Lyric Opera of Chicago. I wonder if she realized that that 1952 radical critique of suburban American conformism and alienation was dedicated to his mentor Marc Blitzstein. Another well known Met soprano, Susanna Phillips, assumes the role of Regina’s oppressed alcoholic sister-in-law Birdie Hubbard. Regina’s two scheming, unscrupulous brothers are Ben Hubbard, sung by an elegant, seasoned James Morris, and Oscar Hubbard, performed by longtime star of musical theatre, Ron Raines. Regina has been called America’s first verismo opera. Verismo is an Italian term for hypernaturalistic stories, often set in the present day, that expose the most highly dramatic and most sordid human qualities, set to gripping melodramatic music. The style suits Hellman’s play, a wasps’ nest of intrigue, theft, racism, treachery, greed, financial exploitation, and sexist treatment. It has significant feminist content in its depiction of women in the Alabama of 1900, where it is set. 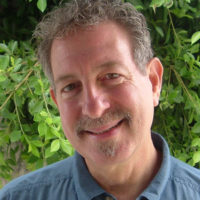 I should mention one other real star of the production: Conductor Stephen Lord, who had served as pianist for the Houston Grand Opera production in 1980 and then conducted it at Boston Lyric Opera in 1991. He is OTSL’s music director emeritus and has long dreamed of staging it in St. Louis. Why does a composer choose to adapt a recent popular play (starring Tallulah Bankhead) which became a beloved film (with Bette Davis), into a musical theatre piece for Broadway? (It has since mostly been staged by opera companies.) 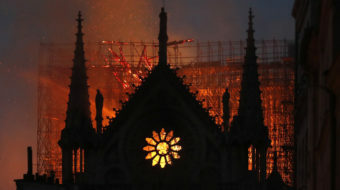 Mozart did the same thing with Beaumarchais’s play The Marriage of Figaro, and most would agree that as a work of art the musicalization soon eclipsed the spoken drama. It may be too soon to say that of Regina (although some have), but Blitzstein’s motive was the same: To add depth of character to these people, to portray an era in music, to add emotional value in the score that communicates more than words are capable of saying. Regina is not simply a musical retelling of Hellman’s drama, but a statement about the nature and origins of American music as such. Blitzstein added a whole cast of Black characters only hinted at in the play, so that he could introduce spirituals, gospel, ragtime, Dixieland, rap, minstrel, keening, blues, as well as the formal ballroom dance music and art music of the old Southern aristocracy and the burgeoning bourgeois entrepreneurs represented by the Hubbard clan. Blitzstein’s timing also says much about the work. He served in the U.S. Army Air Force in World War II and prepared a chorus of Black American servicemen in England (then still mostly placed in segregated units) for a public performance of spiritual numbers in Royal Albert Hall. Among the songs he programmed was the spiritual “Certainly, Lord,” which figures into Regina as a ray of redemption joining the Black characters in the opera with the good white characters, such as Birdie, Regina’s daughter Alexandra (a wonderful young soprano, Monica Dewey), and Regina’s husband Horace (bass-baritone Kristopher Irmiter). In 1949 he created important Black roles for Broadway: Addie (here, the amazing mezzo Melody Wilson, who contributes a few welcome melismatic embellishments to her “Blues” number), Cal (a fine baritone, Justin Austin), and others. Alexandra, who ultimately leaves her mother in her den of evil, is the moral center of the opera: Her eyes are opened by the end and she goes off with Addie to start a new life somewhere far away from Regina’s reach. Leonard Bernstein named his son Alexander after this character. James Robinson, OTSL’s artistic director and stage director, serves this work well. A few small cuts are made in the score, but nothing anyone will especially miss. 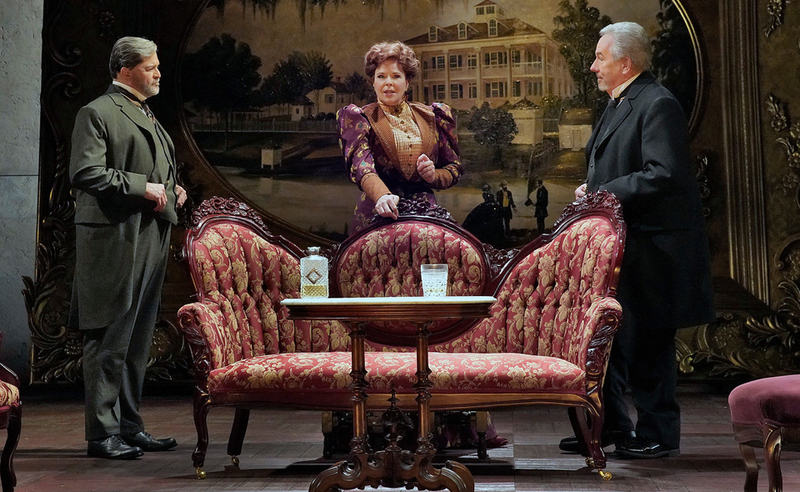 The living room set by Allen Moyer is dominated by a huge painting of Birdie’s family plantation Lionnet, which Oscar married her to acquire for the Hubbard empire. The staircase which Regina descends and ascends like a queen is a standard element in any staging of the play or the opera. In this production it partially and awkwardly obscured the dining room table set backstage of it. Now that we are once again living in an era of kleptocratic oligarchy, the relevance of Regina becomes more apparent with each passing day. 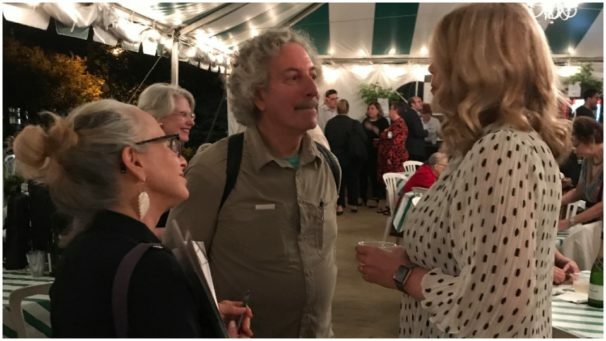 At the artists’ reception after the performance (May 31), I asked Ms. Graham a leading question: Why would so many important singers of this stature take up Blitzstein’s Regina unless they intended to offer it on other stages for larger audiences? The Met, perhaps? No, Graham answered, the Met is too big a house, and this is an intimate story with a lot of spoken dialogue. But she did confirm that she is exploring other venues in New York and elsewhere, so Blitzstein fans, stay tuned! The well-known story is based on the play La Dame aux Camélias (The Lady of the Camellias) by Alexandre Dumas fils, and tells of Parisian courtesan Violetta Valéry dying of tuberculosis who in her last year or so of life finally finds her true love, Alfredo Germont. The relationship is kiboshed, however, by his father, Giorgio Germont, who fears for the marriageability of his daughter if the illicit affair of her brother becomes a matter of public gossip. I learned a few things about this opera that I hadn’t known before—of if I had, I’d forgotten, which is more probable! The younger Dumas based his play on just such a relationship that he had enjoyed, so the narrative contains elements of profound veracity. More than that, the story affected Verdi personally as well. The young composer was happily married until sickness carried off both his young children and his 26-year-old wife within a short period. In time he formed a loving bond with the soprano Giuseppina Strepponi (1815-97), who had several children of her own, and with whom he lived, but did not marry until much later (and even then, privately). Verdi and Strepponi saw the play together on a trip to Paris and he resolved to make an opera of it, because it mirrored so closely the treatment Strepponi received every time she entered a church or any public space—snarling, contemptuous judgments, crude remarks, ostracism. Verdi wanted to make this opera an indictment of social hypocrisy and an ode to true love—he was about as anti-religious and anti-clerical as a person could get in 19th-century Italy. OTSL’s production has five bright stars: The role of Violetta is assumed by up-and-coming soprano Sydney Mancasola, already known to European audiences in London, Frankfurt and Berlin, and to be featured in The Magic Flute next season at New York’s Metropolitan Opera. She has a glorious instrument and articulates the text convincingly. I was reminded that artists can get away with a lot when they’re singing in a language neither their own nor the audience’s. Star No. 2 is her lover Alfredo, performed by lyrical tenor Geoffrey Agpalo, who has been part of the training program at OTSL for a number of years and has gradually moved up to bigger roles. Last year I took notice of him at OTSL as the lapsed preacher Jim Casy in Ricky Ian Gordon’s setting of The Grapes of Wrath, devoting a whole paragraph to him and his character. Here he revealed a clear, pure, untroubled tenor voice and considerable acting skill as well. The third star goes to the Giorgio Germont singer, Joo Won Kang, whose fatherly grace comes through so affectingly in his velvet baritone. Apart from the classic beauty of the soprano’s and the tenor’s arias and duets, I finally saw in this production that in many ways it is the elder Germont with whom the audience identifies, someone whose heart is turned around in the face of tragedy and a surpassing love, as the fulcrum of the opera. The production design by Laura Jellinek merits the fourth star. The entire set, costumed as if in the 1930s, is based on a giant camellia shifting in color, light and depth as the opera proceeds, and from whose center Violetta appears. The fragile flower becomes almost a womb—from which we all emerge, after all—and which capacitates us to find love and purpose in life. In the party scenes the set becomes a chic Parisian nightclub as if painted by Georgia O’Keeffe. Costumes by Kaye Voyce contribute deliciously to the production. The character of Violetta’s friend and hostess Flora (mezzo-soprano Briana Hunter) is decked out to recall the great Parisian celebrity Josephine Baker. Finally, a star goes to the first-time stage director, the world-renowned soprano Patricia Racette, who has impersonated the role of Violetta about 100 times in numerous productions, and who debuted at OTSL back in 1993. The 1930s period allowed Racette to introduce moderne furnishings and 20th-century dance steps, and to allow for cross-dressing and non-standard gender roles at the classy costume ball. The sensibility is much closer to our own times. She is quoted as saying, “I don’t think anyone will miss the giant hoop skirts.” She also has the dying Violetta at the end pull off an unexpected move that fully conforms both to the music and to the camellia theme of the staging (no spoilers here!). Her reimagining of these final bars of the score might well become a generally accepted performance practice. Christopher Allen conducts, though on June 2, when I saw the opera, Robeto Kalb did the honors by prior scheduling. 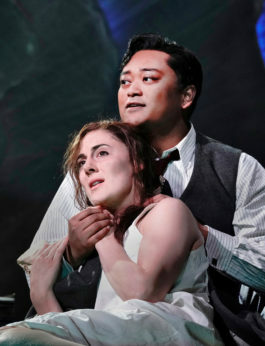 Three performances of Regina remain through June 24, and two more of La Traviata. For tickets and more information see the OTSL website here or call the box office at (314) 961-0644. OTSL performances take place at the Loretto-Hilton Center, 130 Edgar Road, St. Louis 63119.